Hotel Neelam Paradise, situated in a bustling neighbourhood of Jaipur, is indeed a paradise of stay. 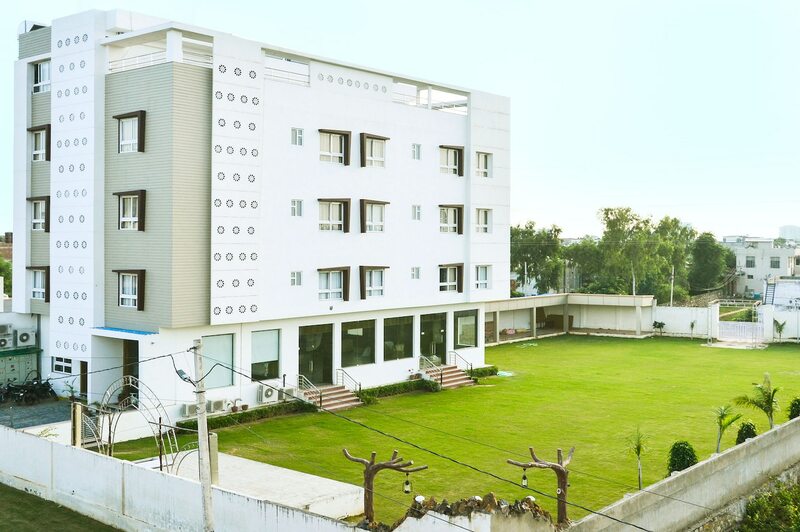 The hotel stands out with its huge building and lawn area in the locality with modern and finely furnished rooms well-equipped with heater and hairdryer. Guests can avail the facility of free Wi-Fi to stay connected with the internet. The other facilities offered by the hotel include card payment option, laundry, CCTV cameras along with parking space and elevator. The hotel takes care of its guests and their furry friends as well. The banquet hall with decorated ceiling adds magic to various activities and occasions that the guests might want to host. Explore key attractions like Birla Auditorium, Rajasthan Polo Ground, and Central Park near the hotel.